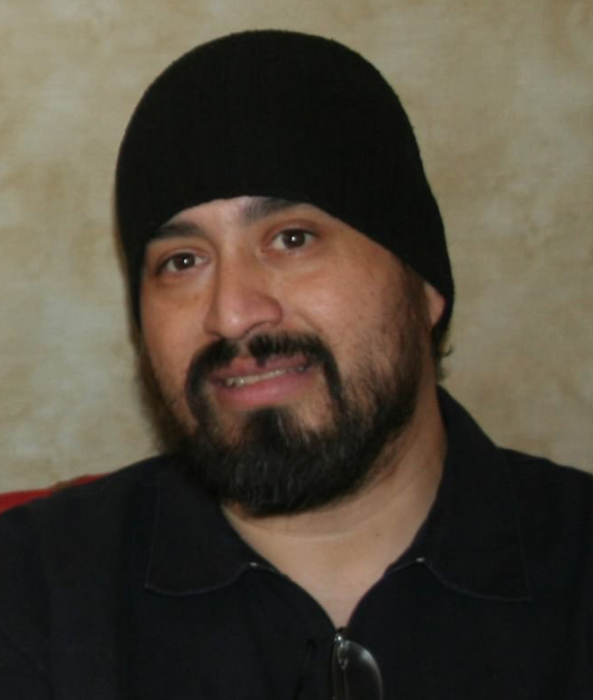 John Gilbert Herrera, age 42, of Grandview, and formally Granger, WA passed away on September 11, 2018. John “Boy” was born on April 6th, 1976 in French Camp, CA. The family traveled throughout California, Oregon and Washington before settling in Lynden, WA in 1984. John received his education in Lynden and later Granger where he graduated in 1994. John was a true Atlanta Falcons and Boston Red Socks fan. He also had high hopes for the Sonics coming back to Seattle some day. John enjoyed spending time with friends and family, especially at the last few Pina Family Reunions. John is survived by his mother, Mary Phelan, sister Terri (George) Saenz, niece Mary-Alice (Crystian) Correa, great nephews Lucas and Logan Correa, and his Best Friend Frances Nunez. He is preceded in death by his father, (John) Gilbert Herrera, grandparents Daniel and Virginia Herrera and Jose and Guadalupe Pina and numerous aunts, uncles and cousins. Celebration of Life service will be held Saturday, September 22, 2018 from 1:00 pm to 4:00 pm at the Granger Lions Club 109 East A st. Granger, WA. Those wishing to sign John's online memorial book may do so at www.funeralhomesmith.com Smith Funeral Home in care of arrangements.